Start your print job before leaving your Residence Hall room or on-campus office and pick it up on the way to that class or meeting. 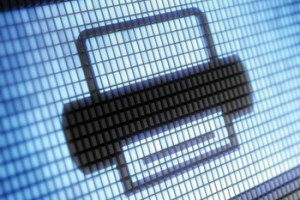 Print Anywhere lets you print to a variety of Print Smart printers. Use Print Anywhere from your personal computer or laptop to print to MU network-connected printers. You can start your print job and pick it up at the designated printer when you need it. But remember, Print Anywhere cannot be used to print to your personal printer. Students use Print Anywhere in conjunction with your Print Smart printing allowance. Faculty and staff use a MoCode to pay for any Print Anywhere print jobs. Faculty and staff use a MoCode to pay for any Print Anywhere print jobs. Students use Print Anywhere in conjunction with their Print Smart printing allowance. Print Anywhere works from both Windows and Macintosh operating systems. Download and install the Print Anywhere software on your computer. The Windows install only allows you to install one printer at a time. Repeat the installation to install several printers. The Macintosh installer allows multiple printer installations.